Mr. Woods has a broad understanding of patent searching, application, licensing and litigation with an easy-to-understand communication style. Take your patent questions to him! What a great way to investigate your ideas. Straightforward and to the point. We would recommend YourPatentGuy to anyone who needs to research their project. 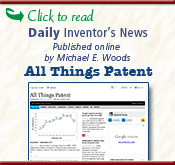 Michael Woods has been an excellent partner for my patent projects. He is very smart, very organized, and very skilled at turning business priorities into patent-protected innovations. I highly recommend his services! 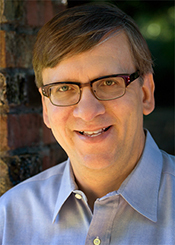 Michael Woods has been extremely helpful in helping me through a rather complex patent application process. Picking up the stick from two previous IP agents and attorneys, Michael very quickly absorbed the particulars of the invention as well as the history of its patent application process. He was fully engaged from the very beginning, offered creative insights and opinions to help move the process forward, and was very proactive in producing the necessary materials in that regard. Michael is awesome. And I mean this not just as a patent attorney. I came to him with a lot of questions and concerns, and he was able to answer every one of them, and did so in a way I could understand. He is easy to talk to, extremely knowledgeable, has great advice, and is overall just a really nice guy. I will absolutely come to him again in the future with my other inventions. I give him a 10 out of 10. Michael has been fantastic. You receive the knowledge and experience that you expect from a top notch IP law firm at a great value. I highly recommend Michael Woods. I knew a lot about my trade but absolutely nothing about patents and the laws associated with them. A close friend who had already gone through the process of patenting several products with Michael highly recommended him to me. I’m so glad he did. He plowed right through my project on time and on budget. I too will now be highly recommending him. Michael has been everything I’m looking for in a patent attorney. He’s industrious, knowledgeable, creative, thorough, and fun to work with. He’s my patent guy going forward! We started occasionally consulting Michael about 10 years ago. In recent years we have moved all of our patent work to him. Why? Because we have found Michael to be one of the most proficient attorneys in converting engineering ideas into patents saving us valuable engineering resources while putting together stronger more comprehensive patents. Michael’s ability to understand technical concepts continually yields very thorough patents while his timeliness and professionalism ease end-of-project deadlines. It has been, and continues to be, an extremely pleasurable and rewarding experience working with Michael Woods.